Operation Elmira (also known as “Elmira mission”) is the third and final assault of the 82nd Airborne Division on June 6, 1944 on Normandy. It operates chronologically after operation Boston (drop at 1:20 pm of the three airborne regiments) and operation Detroit (airborne reinforcements aboard 52 Waco gliders arriving at 4:00 am). 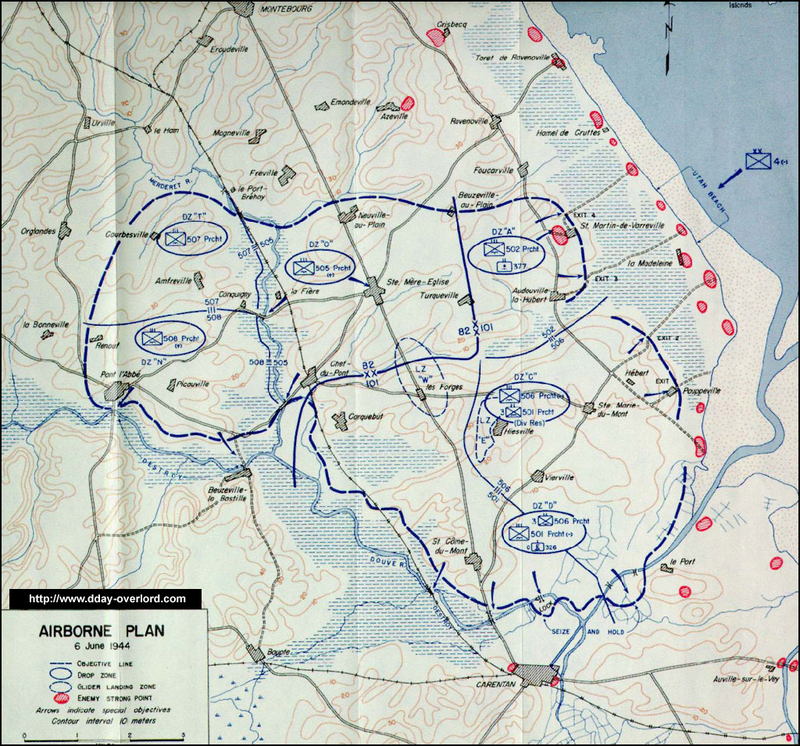 The objective of Elmira is to transport by glider, like Detroit, reinforcements in personnel and equipment to the benefit of the parachutists isolated since the first hours of D-Day in the Cotentin Peninsula. Indeed, the latter need heavy weapons, equipment and ammunition that could not be parachuted during Operation Boston. Elmira is the largest airtransport operation on D-Day. The landing of these new airtransported reinforcements is scheduled for Tuesday, June 6 at 9:00 pm on the landing zone (LZ) coded “W” located in the Les Forges region two kilometers south of Sainte-Mère-Eglise, along the national road 13 (RN 13). This landing zone extends over two kilometers in length and one and a half kilometers in width. It is located in the center of the US Airborne Corps operations area in the Cotentin, covering both 82nd and 101st sectors. 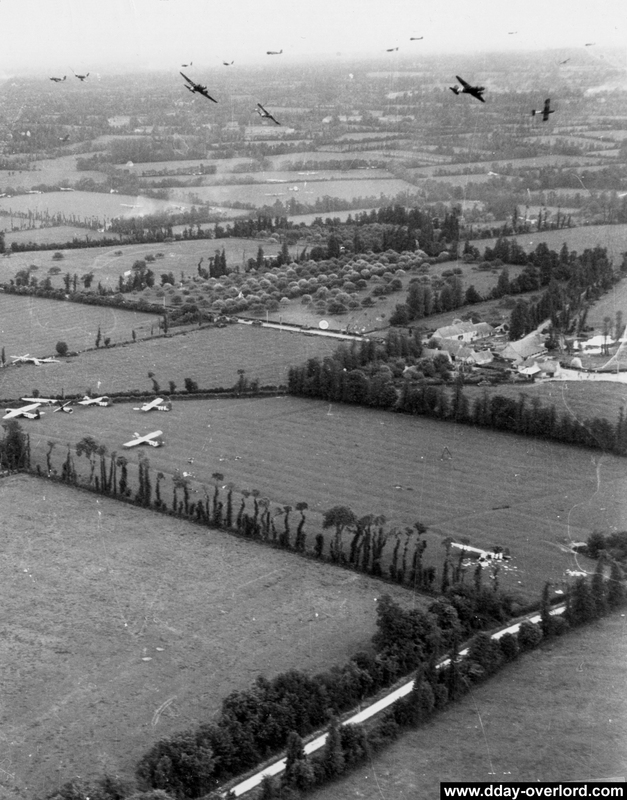 Unlike the glider landing zones of the 6th Airborne Division northeast of Caen, LZ “W” is very compartmentalized in several orchards and fields bordered by high hedges as well as by lines of trees sometimes reaching fifteen meters height. 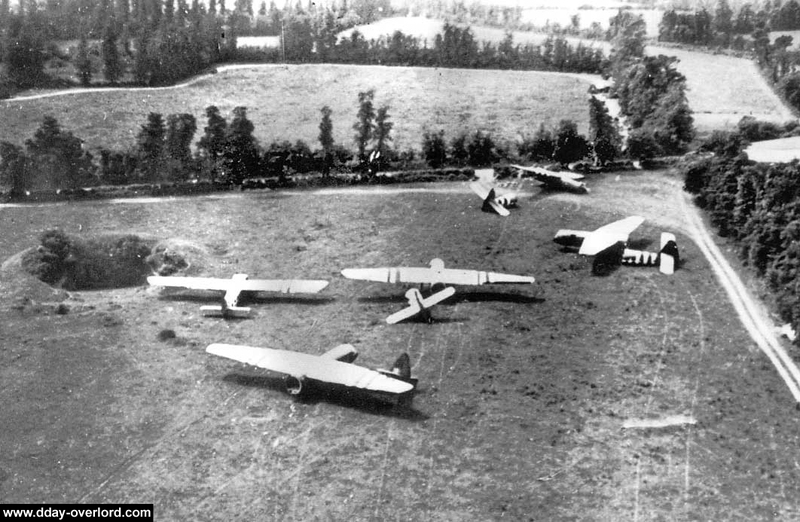 36 Waco CG-4A gliders and 140 Horsa gliders towed by 176 Douglas C-47 belonging to four Troop Carrier Groups (TCG) are engaged in the operation. In detail, 50 Dakota belong to the 435th TCG based at Welford, 50 from the 436th TCG based in Membury, 26 from the 437th TCG based in Ramsbury and 50 from the 438th TCG based at Greenham Commum. All of these devices are divided into four serials, numbered from 30 to 33. 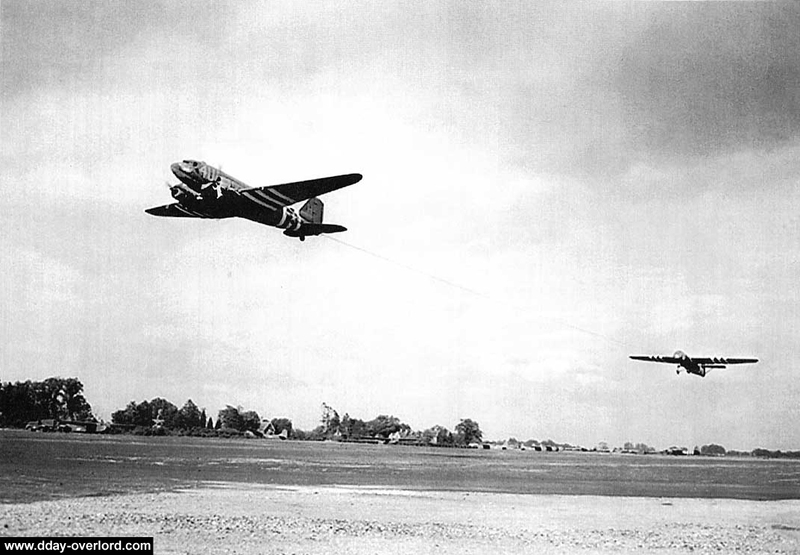 The 30th serial (26 C-47, 18 Horsa and 6 Waco) is scheduled to land at 9:10 pm and carries the C battery of the 80th Airborne Anti-Aircraft Battery Battalion (AAB), elements of the 80th AAB, elements of the 82nd Airborne Division Artillery (ADA) and elements of the 82nd Airborne Signal Company (ASC). The 31st serial (50 Dakota, 36 Horsa and 14 Waco) is scheduled to land at 9:20 pm and carries the 82nd Airborne Reconnaissance Platoon, elements of the 82nd ASC, elements of the division’s staff and elements of the 307th Airborne Medic Company (AMC). The 32nd serial (50 Dakota, 48 Horsa and 2 Waco) is scheduled to land at 23:00 and carries the 319th Glider Field Artillery Battalion (GFAB – the 319th GFAB embarks 418 soldiers, 31 Jeep, 13 anti-tank guns of 57 mm and several tens of tons of equipment), elements of the 320th GFAB, elements of the 307th AMC, company A of the 307th Airborne Engineer Battalion (AEB) and elements of the staff of the 82nd ADA. Finally, the 33rd serial (50 Dakota, 38 Horsa and 12 Waco) is scheduled to land at 11:10 pm and carries elements from the 320th GFAB (the 320th GFAB embarks 319 glidermen, a dozen 105-mm Howitzers, 28 Jeep and 55 tons of equipment). In total, 1,190 personnel, 24 guns of 105 mm and 75 mm, 13 guns of 57 mm and 67 Jeeps are air-transported during operation Elmira. Due to the immense amount of equipment deployed, the mission is divided into two stages in order to avoid possible collision risks: the first is scheduled to start shortly after 21:00 with serials 30 and 31, the second (serials 32 and 33) must take place immediately after sunset, at 23:00. Alongside the Elmira mission is the Keokuk mission, which is the glider reinforcement of the 101st Airborne Division on LZ “E”. 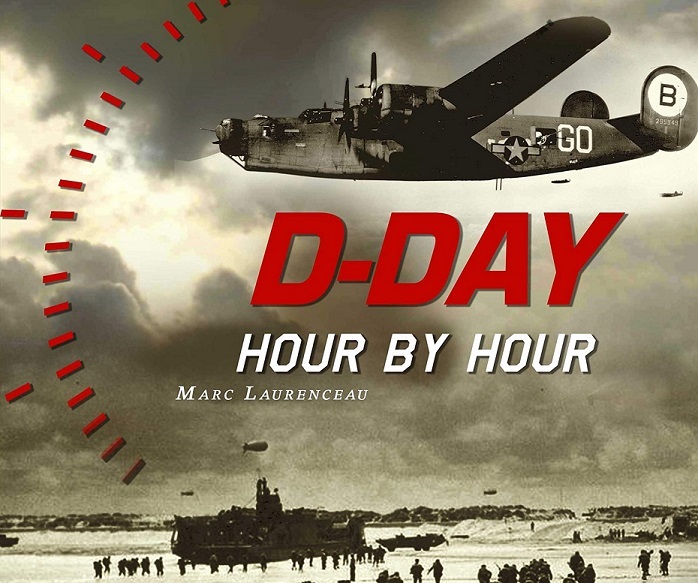 The first two serials take off from Britain on June 6, 1944 starting at 6:30 pm. The whole of the elements then flies over the peninsula of Portland and goes towards the Saint-Marcouf islands in order to avoid the German anti-aircraft artillery (the Flak) of the region of Cherbourg. However, at the time of the arrival of serials 30 and 31, the Germans still control a large area between Fauville and Turqueville, which is in the approach axis of the gliders to LZ “W”: General Ridgway then takes the difficult decision to divert all the equipment involved in the Elmira mission to the “O”. This landing zone is secured by the 505th Parachute Infantry Regiment (PIR) and the approach itinerary makes the gliders avoid too dangerous areas. Ridgway attempts to contact General Collins, who is aboard the USS Bayfield off Utah Beach, asking him to relay to contact the TCG with no results. He then orders to mark the LZ “O” in the hope that the pilots of Dakota would divert themselves to the north-west of Sainte-Mère-Eglise. But the pilots were ordered to search for the landing area three kilometers from this locality. 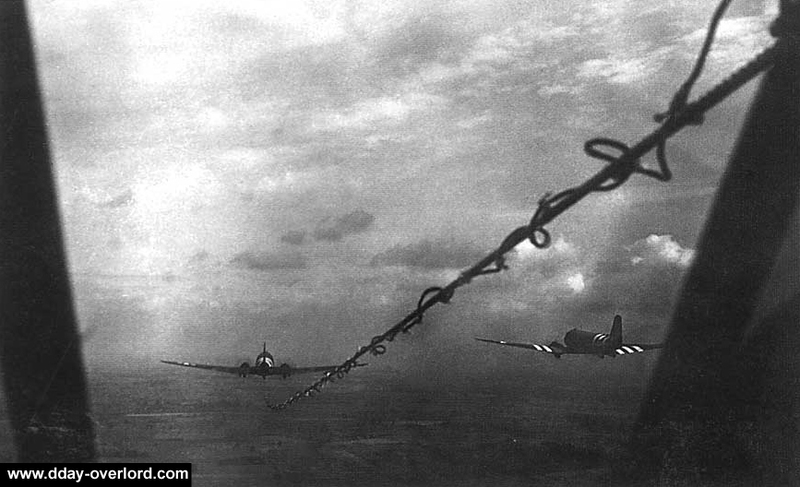 The C-47s are located above the Cotentin Peninsula at an altitude of 150 meters and are preparing to drop the gliders above LZ “W” according to the original plan: everything is calm on the landing zone until the Horsa and the Waco gliders are within range of the Germans. 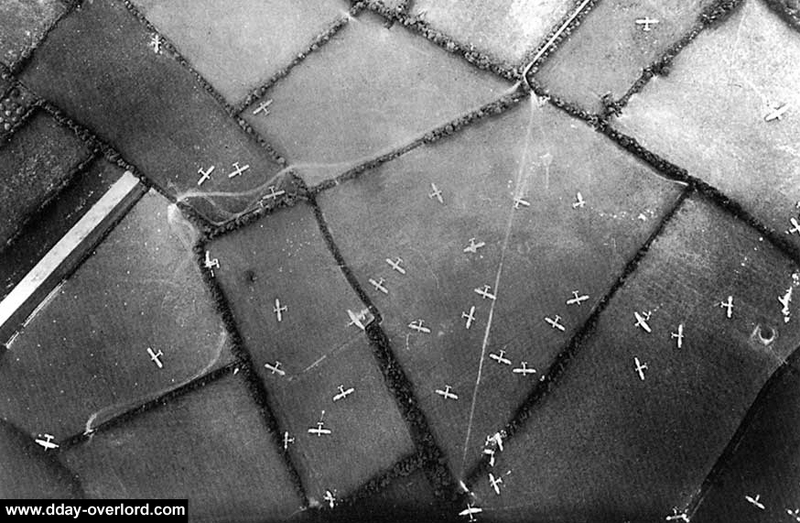 The fighting on the ground is visible from the sky and many glider pilots decide to divert to another landing zone. But most of the 30 and 31 serials land on LZ “W”. The same applies to the two following serials which land respectively from 22:50 and 23:05. The Germans are still numerous north of LZ “W” at the moment of landing and they infiltrate it from 21:00: they act by small elements whose numbers vary from one team to a platoon. Some gliders find themselves isolated in the midst of German soldiers, caught in a violent fire, sometimes even during their approach phase. 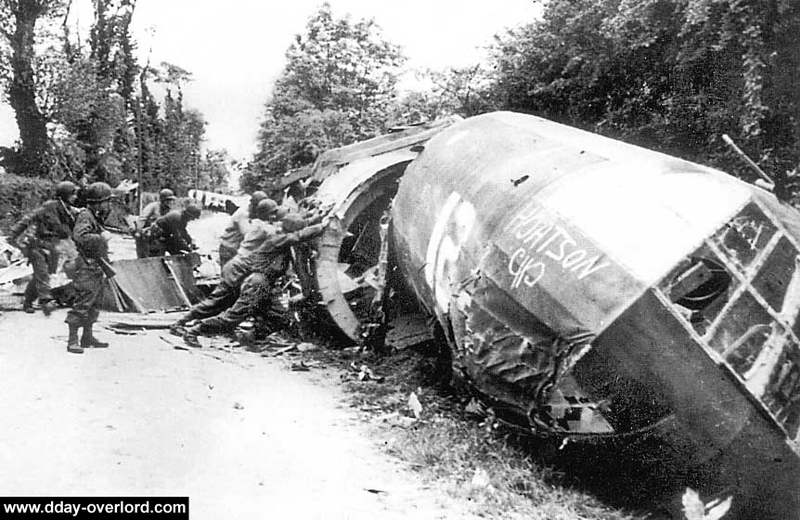 The casualties are significant because 157 of the 1,190 glidermen are killed or injured during the landing phase of the gliders (15 aboard the Waco and 142 aboard the Horsa gliders). Physical damage is also numerous for TCG: 5 aircraft are lost and 92 are damaged by German shots: 1 Dakota pilot dies and 8 are injured. Regarding gliders, 26 of the 352 pilots are killed or injured. 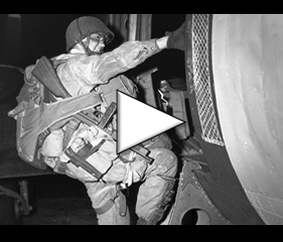 The gliders deliver their precious cargo of men and materials to the paratroopers of the 82nd Airborne Division before the first night spent in enemy occupied territory. 131 tonnes of equipment are transported to ground units while waiting for amphibious reinforcement. Operation Elmira, carried out in broad daylight for two of the four serials, has a significant psychological effect both within the German ranks and within the American ranks: the Germans observe their opponents being reinforced by unconventional means thanks to their near total control of the aerial domain, isolating even more the units located between the litoral and the drop zones. Conversely, for the Americans, this demonstration of strength leads to an increase in morale before nightfall. 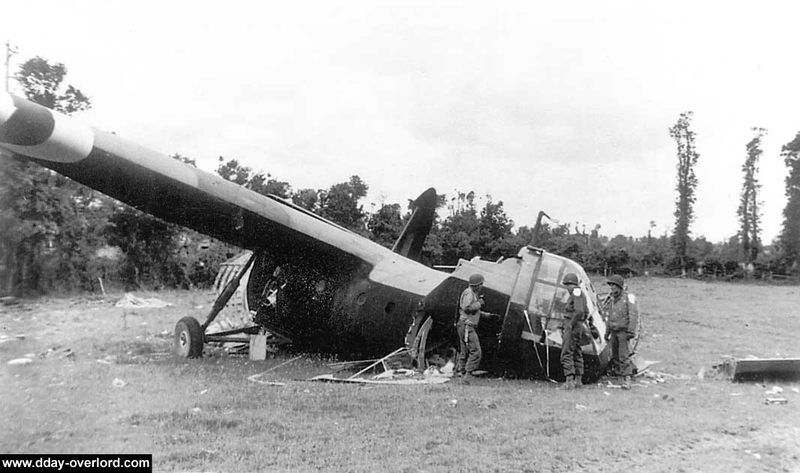 The 82nd Airborne Division was further strengthened by the parachuting of new personnel the following day, 7 June 1944, starting at 6 am as part of operation Freeport.